At Honesberie we encourage more ladies into shooting and have introduced Honesberie Ladies Who Lunch and Shoot on the first Friday of each month. Enjoy a morning at Honesberie in a safe and relaxed environment with experienced instruction. 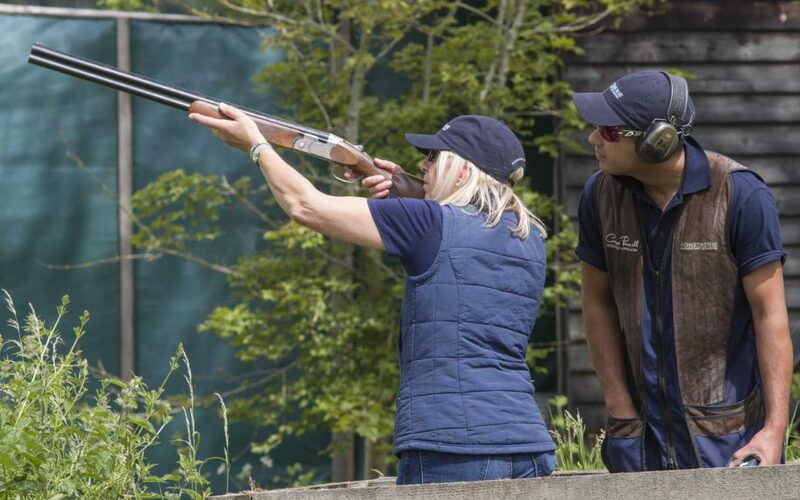 Are you a beginner or an experienced shot or just looking for more tuition? We cater for all ages and shooting ability. Arrive at 10:30 for 11am start with lunch at 1pm. We are located between Rugby, Daventry and Banbury on the borders of Northamptonshire, Oxfordshire and Warwickshire, and close to Buckinghamshire. Booking essential as numbers are limited. Please make payment when booking. Tel: 01327 262922 or book online. Something for the children in the school holidays? Our Young Shots days are the perfect answer!